Big Visual Group utilizes a Visual Magnetics Graphics System to create photo-quality, changeable displays for retail, food service, trade shows, schools and more. They’re very cost-effective, easy to transport and install. They also provide great graphical versatility because it’s so easy to change pieces out or layer them. The VM-Graphic System uses a high-strength, commercial-grade magnetic receptive Micro-Iron® based primer called ActiveWall®. This acts as the base that’s applied to walls or other fixtures you want graphics placed upon. The intermediate layer is a patented flexible magnet backer called InvisiLock®. This thin magnetic layer holds the printed film in place. On top of these two base layers, you place magnetic receptive printable media pieces called MagnaMedia® (the visual design elements you see). These come in a variety of fabrics, textures and finishes — you can even have a magnetically receptive dry erase display. They’re great for restaurants, which can change up menu boards for things like rotating specials. You can add, subtract and layer pieces to display prices, promotions and descriptions. 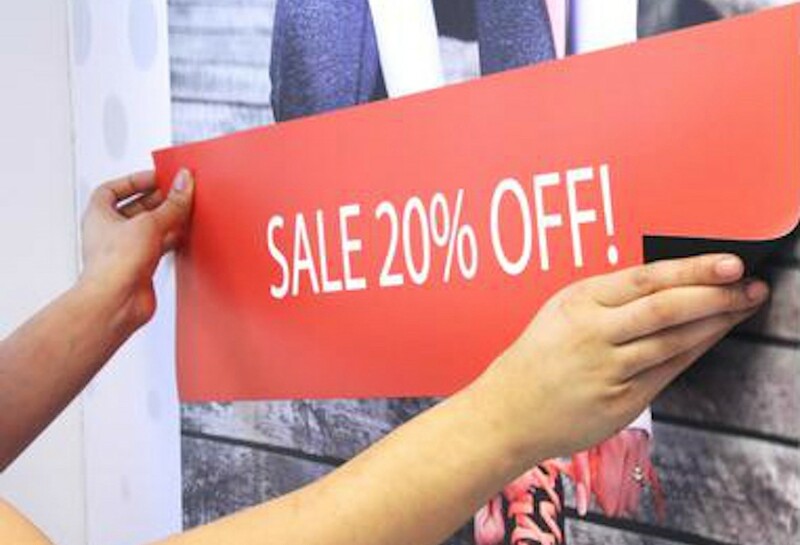 In a retail environment, you can change wall coverings and point-of-purchase display pieces to highlight sales and specialty items. Buildings on college campuses can exhibit floor-to-ceiling wall graphics that showcase the school’s history with timelines, quotes and artifacts. With Big Visual Group’s in-house creative team and state-of-the-art print technology, the sky is the limit on wall graphic design possibilities. Your sales consultant will bring your needs to the design team to devise creative ways to visually bring your ideas to life in an eye-catching and memorable way. Additionally, Visual Magnetics offer a cost-effective option for clients. The magnetically backed media pieces can simply be rolled up and shipped in tubes, saving company dollars on prohibitive shipping costs associated with mailing large design pieces. The installation process is cut-and-dried as well, and retail employees can easily be trained on how to work the displays. This saves resources by avoiding bringing in additional people to assist with a complex graphical installation.